“The pool of applicants would have been twice as big had there been an equal number of women in the field ... By shutting girls out of computer science classes early on, we are limiting the number of people going into the field and hurting businesses that need that talent,” said Lida Zlatic, founder of ClassTracks. When her company was looking for a junior developer to join the team, they struggled to find qualified applicants (male or female). The numbers are dismal. Girls Who Code’s West Coast director, Salleha Chaudhry, cites recent data that shows that 74 percent of girls in high school report an interest in STEM (science, technology, engineering and math), but only 4 percent choose to major in STEM subjects in college. While 37 percent of women majored in computer science degrees in 1984, just 18 percent graduated with a computer science degree in 2012. Of those who do receive a degree in computer science, only 20.6 percent get a job in a STEM field. By 2020, Chaudhry reports, there will be 1.4 million technology jobs that need to be filled, and not nearly enough applicants to fill them. Although these statistics are grim -- and recent news stories seem only to focus on the sexism and discrimination found in male-dominated, STEM workplaces -- many women have found fulfillment in computer science and see a brighter future. Why should girls pursue computer science? In addition to increasing the number of qualified applicants for jobs, pursuing STEM careers provides more stability for women, according to Play Works Studio founder, Adriana Moscatelli. In addition to better pay, the pay gap between women and men is smaller in STEM jobs. Jobs in computer programming are growing twice as fast as the national average job growth. Women who pursue these jobs will have better job prospects. Overwhelmingly, though, the consensus is that women do, indeed, bring something to the (computer) table. Dr. Nicki Washington, an African-American woman with a Ph.D in computer science, believes that “girls can bring more creativity and collaboration to projects.” She has observed that they are also the stronger students in her middle-school courses, but they need to be encouraged to speak up and share their ideas. "The first few times, some are shy and hesitant to speak out. However, within a matter of a few months, I've witnessed the confidence levels build tremendously, and most of them take on leadership roles in the class." And, just as when the conversation turns to the importance of diversity and women’s perspective in the boardroom and the C-suite, it is critical in STEM, as well. In some form or another, many agree that tech fields, especially computer science, have a perception problem. Sarah Gray, a software engineer at PromptWorks, is not the only woman to cast a different light on computer science. “Computer science is a social and creative pursuit, but it has this stigma of being a dry and technical task.” While many think of "geeky" boys at the mention of computer science and coding, several women described coding as creative, challenging and rewarding. Changing the perception of tech, making it more interesting and relevant to everyday life, and highlighting its reach into many aspects of life would go a long way toward overcoming one of the biggest obstacles to attracting both boys and girls to computer science. Sarah Franklin, senior director of developer marketing at Salesforce, and Hemma Prafullchandra, chief technology officer and senior VP of products at HyTrust, agreed with Herrera. fundamentally shape how we live as a society and how the next generation can leverage and benefit from all the innovations." Franklin of Salesforce went further. This perspective is much-needed in a world fraught with the dangers of climate change, rising oceans, worsening storms and growing inequality. If we can change perception, how else can we encourage girls to become interested in computer science? Recurring suggestions included earlier exposure to computer science (beginning in middle school), strong role models and mentors, and positive media depictions of women’s accomplishments in tech, along with support and encouragement. Dr. Nicki Washington grew up with a math-major mom who worked at IBM in the 1980s, so she was exposed to not only a strong role model in a tech field at an early age, but she also saw all the trials her mom encountered and felt she was better prepared to deal with them when she entered the tech world. Herrera of Grand Intent underscored the positive aspect and accomplishments of women in tech. "Girls need role models to look up to. Society can push these women and their stories forward so girls have examples they can identify with." 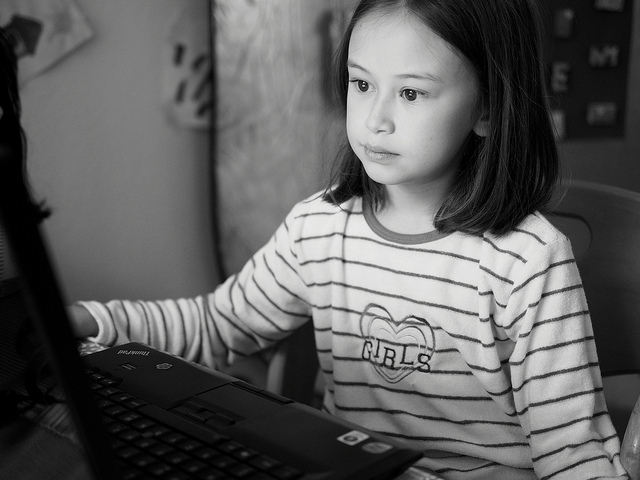 There are several organizations that are focusing on exposing girls and women to coding, encouraging their interest, and supporting their curiosity and problem-solving skills. Girls Who Code, Women Who Code, Black Girls Code, Geek Girls Academy and Ladies Learning Code are just some of the groups whose popularity is growing exponentially. Girls Who Code has more than 200 clubs nationally and is committed to supporting girls not just during their program, but all the way until they take a job in tech. Women Who Code has a membership of over 25,000 and a presence in 15 countries around the globe. Black Girls Code teaches girls from underrepresented communities about computer programming and technology. Traditional education outlets are also seeing the importance of technology awareness and skills. In 2013, Beaver Country Day School became the first school in the U.S. to incorporate coding into all of its subjects. This type of level playing field for both boys and girls could certainly go a long way toward changing perception, exploring the scope of tech in numerous subjects, making tech relevant every day and effecting widespread change. And, maybe all this effort is paying off. Several women had stories of discrimination, discouragement and alienation, but a few reported no such issues. Most recently, Emily, a senior at Evergreen School District in Vancouver, Washington, recounted no negativity in her experience so far. "To be honest, I haven't encountered any obstacles. Everyone in my life, from my parents to my teachers to my friends, has been very supportive of my studies and goals." It is never too late to embrace tech. 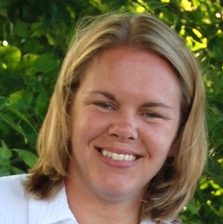 Nicole Rose, senior applications engineer at Lyons Consulting Group, is a self-taught developer with a degree in music.